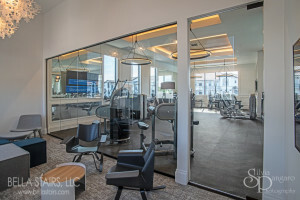 Whether you are designing for a commercial space or a residential home, glass panel walls are an eye catching design element that can transform any space! 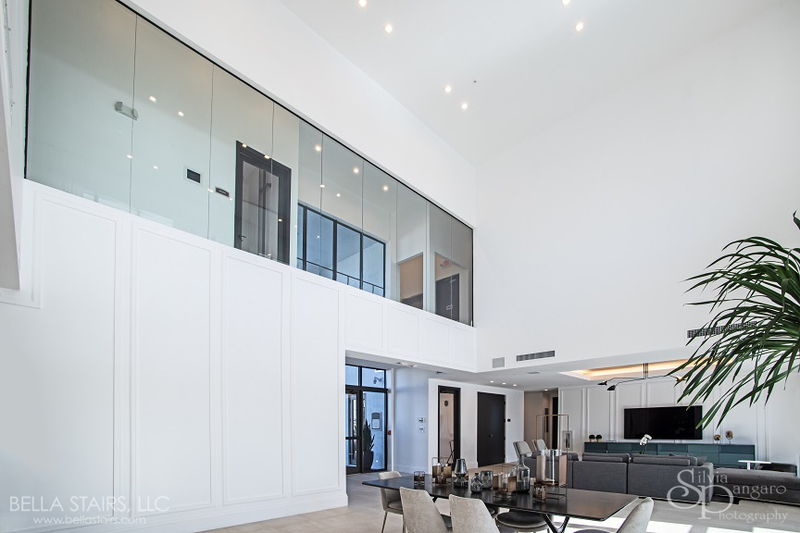 For any residential space, incorporating glass panel walls into your design can create an open and airy ambiance for any space. Glass panel walls are a great design detail to incorporate into your home if you are seeking more of a contemporary look or modern style. Adding a color tint feature to your glass can also completely transform the overall aesthetic of any room. Combining tinted glass with other elements can create some pretty unique results. Residential Space: Glass panel walls enclose the Master Bedroom on the second floor. Our glass enclosures and railing designs can truly accentuate the grandeur of any corporate main lobby entrance. 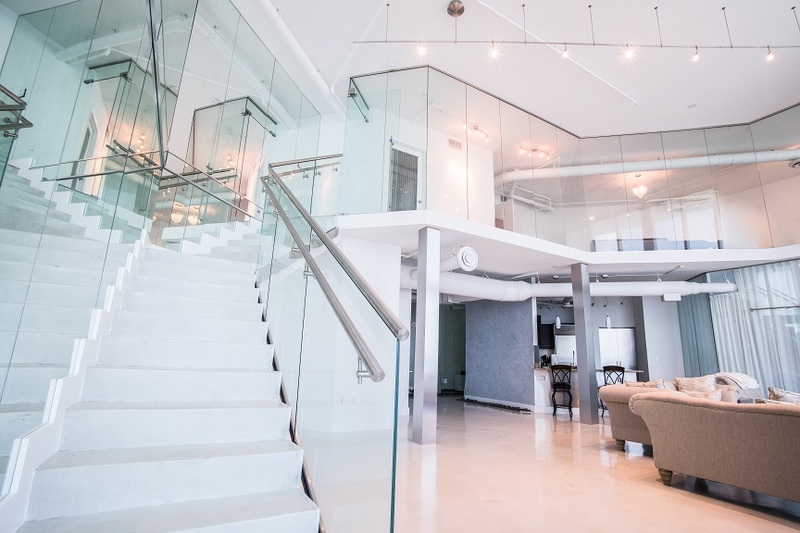 In regards to the type of materials utilized in commercial spaces, when selecting glass, it is stated in the Florida Building Codes to use Laminated Glass for safety purposes. In the event where laminated glass is broken, the broken glass panel stays intact due to an inter-layer between the glass. This prevents any shards of glass from injuring anyone. Creating a custom design while following building codes is imperative to execute a cohesive design in any commercial space. When installing laminated glass for wall enclosures overlooking below, Florida Building Code dictates that you do not need a safety rail. Implementing these building codes into your commercial design will ensure safety without compromising the overall aesthetic of your design. There are many options to choose from when creating your custom design, the possibilities of what you can create are endless. Commercial Space: Laminated glass panel walls keep any space bright and airy.